Urgent action is needed to improve access to the antifungal drug flucytosine, say investigators, following the presentation of the results of a trial showing that treatment containing flucytosine is superior to any other form of treatment in reducing the risk of death from cryptococcal meningitis in people with very advanced HIV disease. The findings open up the possibility of more widespread treatment for cryptococcal meningitis, one of the major causes of death in people with HIV in sub-Saharan Africa. The study also found that one week of treatment with amphotericin B combined with either flucytosine or fluconazole was just as effective as the gold standard regimen of two weeks of amphotericin B and flucytosine, and that if amphotericin B infusion treatment is not possible, an oral regimen of fluconazole and flucytosine is just as effective as the gold standard. 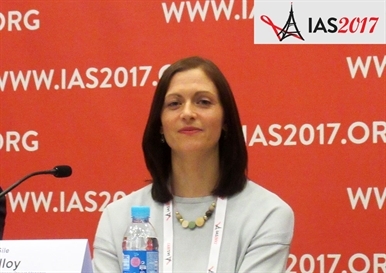 The results of the Advancing Cryptococcal Meningitis Treatment for Africa (ACTA) study were presented on Monday at the 9th International AIDS Society Conference on HIV Science (IAS 2017) in Paris, France. The study was sponsored by the United Kingdom’s Medical Research Council and the French Agency for Research on AIDS and Viral Hepatitis (ANRS). The findings open up the possibility of more widespread treatment for cryptococcal meningitis, one of the major causes of death in people with HIV in sub-Saharan Africa. UNITAID, the international drug purchase fund for HIV, TB and malaria, is set to investigate how it can help to make flucytosine more widely available, said Sile Molloy of St George’s, University of London, speaking at a press conference this morning. Cryptococcal meningitis may cause up to 15% of all HIV-related deaths each year in lower- and middle-income countries (181,000 deaths), according to a recently published analysis. Cryptococcosis is a fungal infection caused by Cryptococcus neoformans that causes life-threatening meningitis. The review, published in The Lancet Infectious Diseases, estimated that 6% of people living with HIV with CD4 cell counts below 100 cells/mm3 are positive for cryptococcal antigen, which strongly predicts the development of cryptococcal meningitis. Cryptococcal meningitis can be treated with antifungal drugs: amphotericin B, fluconazole or flucytosine. A two-week course of treatment with amphotericin B and flucytosine is considered to be the gold standard. Amphotericin B must be administered by infusion in hospital and flucytosine is largely unavailable in Africa and Asia. Flucytosine is not registered in South Africa, where a previous product registration lapsed in 1996, nor in any other African country, and only one generic form of the drug is available. Oral: fluconazole (1200mg/day) plus flucytosine (100mg/kg/day) for 2 weeks. 1-week: Amphotericin B (1mg/kg/d), plus fluconazole (1200mg/day), or flucytosine (100mg/kg/day) (ratio 1:1), for 7 days. Days 8-14, fluconazole 1200mg/day. 2-weeks: Amphotericin B (1mg/kg/d) plus fluconazole (1200mg/day), or flucytosine (100mg/kg/day) (ratio 1:1), for 14 days. All participants received fluconazole 800mg/day until starting antiretroviral treatment at around day 28 of the study, when the dose was reduced to 400mg until week 10, and then to a maintenance dose of 200mg/day. Participants were followed for ten weeks in all. One-week dosing of amphotericin B may be just as effective as two-week dosing, animal studies suggest, but may result in less toxicity. Preliminary studies show that high-dose fluconazole and flucytosine clears cryptococcus just as quickly as amphotericin B. The ACTA study recruited 721 people in Cameroon, Malawi, Tanzania and Zambia between 2013 and 2016. All study participants had been diagnosed with a first episode of cryptococcal meningitis. The median CD4 cell count of study participants was 25 cells/mm3. Approximately one in five already had severe symptoms and around one in three were in need of interventions such as lumbar puncture to relieve pressure on the brain caused by the infection. The need for intervention to reduce pressure indicates a poor prognosis. The primary study outcome was a comparison of mortality after two weeks of treatment. No significant difference in mortality at 2 weeks or 10 weeks between the three treatment strategies, although there was a trend towards fewer deaths in the all-oral treatment arm. Faster clearance of cryptococcus from the cerebrospinal fluid with the all-oral regimen compared to the 2-week amphotericin B regimen (p < 0.001). Substantially fewer blood transfusions to treat anaemia induced by amphotericin B in the all-oral arm and the 1-week arm when compared to the 2-week arm. Significantly lower mortality at 10 weeks when amphotericin B was combined with flucytosine rather than fluconazole in the 1-week arm (p = 0.002). After 10 weeks of follow-up, the lowest all-cause mortality was observed in the 1-week amphotericin B & flucytosine arm (24 vs 38% in the 2-week amphotericin B & flucytosine arm, hazard ratio 0.56, 95% CI: 0.35-0.91). The study investigators recommend that centres in sub-Saharan Africa should use the 1-week amphotericin B and flucytosine regimen if possible, and the 1-week fluconazole and flucytosine regimen if the use of amphotericin B is not possible. They say that adoption of the new regimens could save tens of thousands of lives each year if flucytosine can be made available in Africa. Molloy S et al. A randomized controlled trial for the treatment of HIV-associated cryptococcal meningitis in Africa: oral fluconazole plus flucytosine or one week amphotericin-based therapy vs two weeks amphotericin-based therapy. The ACTA Trial. 9th International AIDS Society Conference on HIV Science, Paris, abstract MOAX0201LB, July 2017.